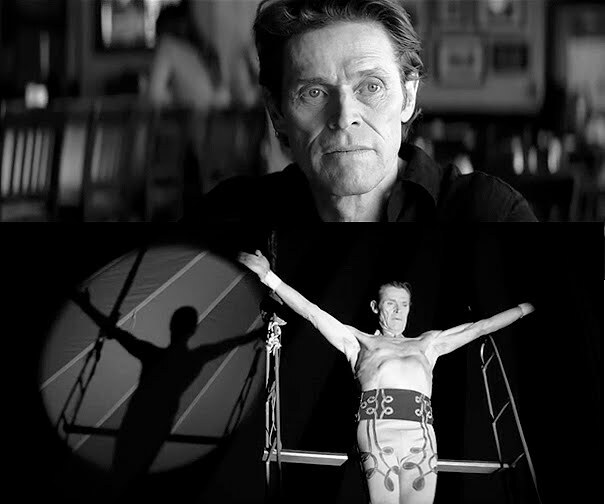 If It's Hip, It's Here (Archives): Willem Dafoe Ponders Life Choices In A New Anthem Spot for Jim Beam. Willem Dafoe Ponders Life Choices In A New Anthem Spot for Jim Beam. "Bold Choices," a new anthem spot beautifully shot by director Dante Ariola for Jim Beam, features actor Willem Dafoe as he ponders 'what might have been.' The 1:30 second spot from Strawberry Frog is meant to imply that the choices you make, make you. above: Dafoe ponders his future; Milwaukee or New York? The commercial opens with the young Dafoe at a pivotal turning point. Does he leave his small Milwaukee town for the dream of becoming an actor in the "Big City" or stay where he is and let life unfold? 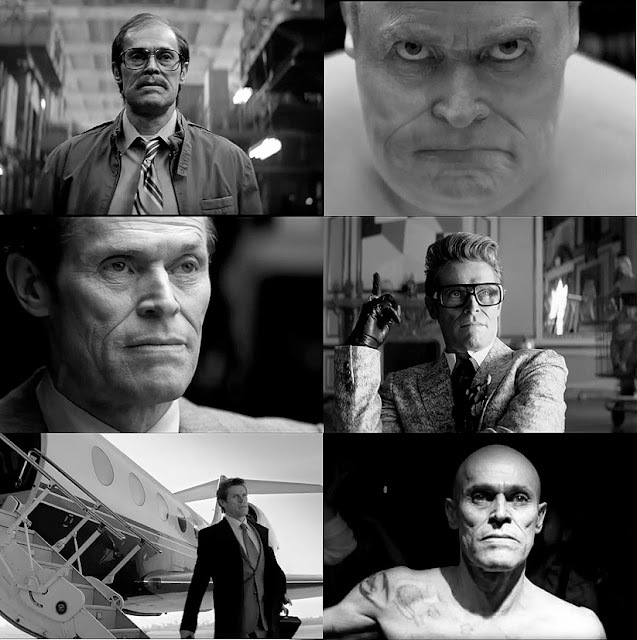 The spot has Dafoe reflecting on the possible futures had he made different choices- factory foreman, aging punk rocker, a trapeze artist, a successful businessman, limo driver, a fashion designer, a chess champion, even a sumo wrestler - but as Dafoe notes, in the end, there is really only one choice. Beautifully shot, Dafoe is perfect for displaying this vast array of the humanity of "the white man", sans "Sumo Dafoe" (c'mon). However, I am confused with what we, the consumers, are to gather from this ad. Do we assume that because young Dafoe chooses the NY bus and (supposedly drinks Jim Beam) that has made the 'bold choice' for his success - giving the impression that the Milwaukee bus is the choice for lack of success? If that is the premise, than wouldn't an intellectual person connect that when he is working the less attractive jobs, such as shoveling elephant poo, or the mind numbing factory manager job that he made the choice to drink instead of the clear headed C.E.O. positions who wouldn't drink? If the director wanted to show the affects of an individual making a 'bold choice' to become an alchoholic and waste his life's dreams, than I think he succeeded. Again, the Sumo part is just ridiculous, IMO. All in all, gorgeous short, but if I were Jim Beam, I'd fire my ad agency. I thought it was an inspiring ad. How it tied into alcohol positioning was the subject consequences connected to it. i.e. The type and quality of the alcohol you choose and how much to intake. Commercials / Ads are supposed to show a clear message: this is the product, it is awesome, you want it, this will no doubtingly make your life better.I wanted to know what this ad was trying to tell you, or want you to think? Are you self motivated, or are you a sheep? Are you strong or are you a slacker? Are you lucky or are you unlucky? I felt sorry for the "Dafoes" stuck in dead end jobs, especially the twisted punk mosher- Dafoe who seemed angry and in some zombie state of mind. This ad was conflicting with the American spirit and pull yourself up by your boot strings mentality that makes us persevere under tough times and find self worth in those hard times. Where in the world does Jim Beam fit into that? Of course drinking is something that people have choice to partake in and enjoy, no question about that, but the sadness and disconnection shown by the "unsuccessful Dafoes" is so powerful, it's just a shame in my humble opinion that the ad wasn't an anti-drinking, motivational ad for kids. I think that would have been award winning. cheers! Lissadzn: I think you think both too much and not enough... and go nowhere in the process. For the rest of us, the message was simple: bold choices are the stuff of successful people. And Jim Beam is a bold choice. Like all advertising, the promise has no relationship to the product. No, cologne will not make women swoon over you. Neither will buying that sports car. 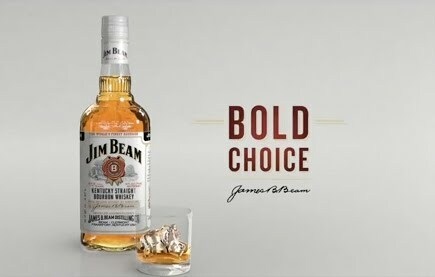 Having a Mac does not make you cooler and drinking Jim Beam will not help you make bolder choices. Still I would rather see an entertaining and evocative message that has nothing to do with the product if I have to watch a commercial. So thanks for the entertainment and thoughtfulness. I will still continue to drink Jameson. btw, how is it that bold successful choices give you a lush, thick head of hair?